Languages are a series of sounds that we are introduced to as children. Like so many things the language we speak colors our home life along with all the other elements that surround us, each bringing with it memories of happiness, joy, sadness, etc. Suppose one day someone came into that home and suggested that the sounds be changed, the language is changed, for the sake of the children in his household. 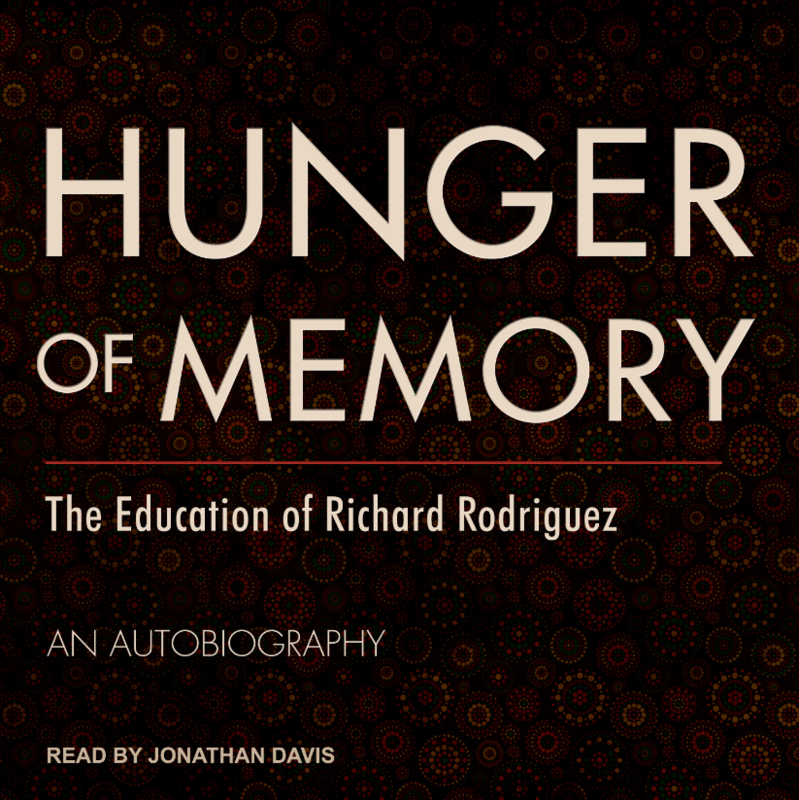 In the Hunger of Memory, Richard Rodriguez discusses the change in language that took place in home, where it went from the happy, “private” language of Spanish to the more public language of English for the sake of the education of himself, his brother and his sisters. The subtle and simple change that was made willingly by his parents for the sake of the education of their children, changed the family dynamic. This book discusses that change from Richard’s point of view. Richard had to find his way in two worlds, the private world of his Spanish family and the public world in which he spoke English. During his journey, he found himself forever trying to close the perceived distance he feels from his family and never quite getting there. Rodriguez tries to figure out a way to reconnect with his slowly distancing family, wondering, if it is even possible. Through Richard’s struggle and self-reflection, we see that he tried to make sense of all the changes that took place around him. This story shows the timeless struggle of every immigrant that has come to America. It also touches upon the changing world of the 1960’s and 70’s, during which the Hispanic population of the United States finds their voice. The narration is brought to life through the smooth, and cultured voice of Jonathan Davis. Davis breathes life into the heart and soul to the story, is culture bringing the words off the pages and transporting us into Richard Rodriguez’s life. Davis was perfectly cast in his narration of this book. It is a please and a joy to listen to the subtle and heartfelt nuances throughout the book. You will laugh, cry and smile due to Davis narration, finding elements of your own family and friends throughout the tale.